TNBM. DBSM. USBM. The black metal genre is littered with acronyms, but a relatively new one maybe unfamiliar amongst aficionados is ZABM – South African Black Metal. This relatively small, yet fiercely loyal grouping has yet to develop a signature sound, but has a solid core of bands producing quality original music. 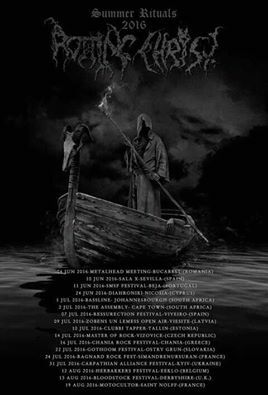 This past weekend was a massive treat for this collective then, as the fathers of Hellenic Black Metal, Rotting Christ played shows in Johannesburg (on 1st July) and Cape Town (on the second). On top of the amazing quality of live performance being delivered by the stalwarts, this show also allowed local acts to gain unmatchable exposure supporting a band of this calibre. The first of these acts, Lesuth, are relatively fresh-faced within the scene. 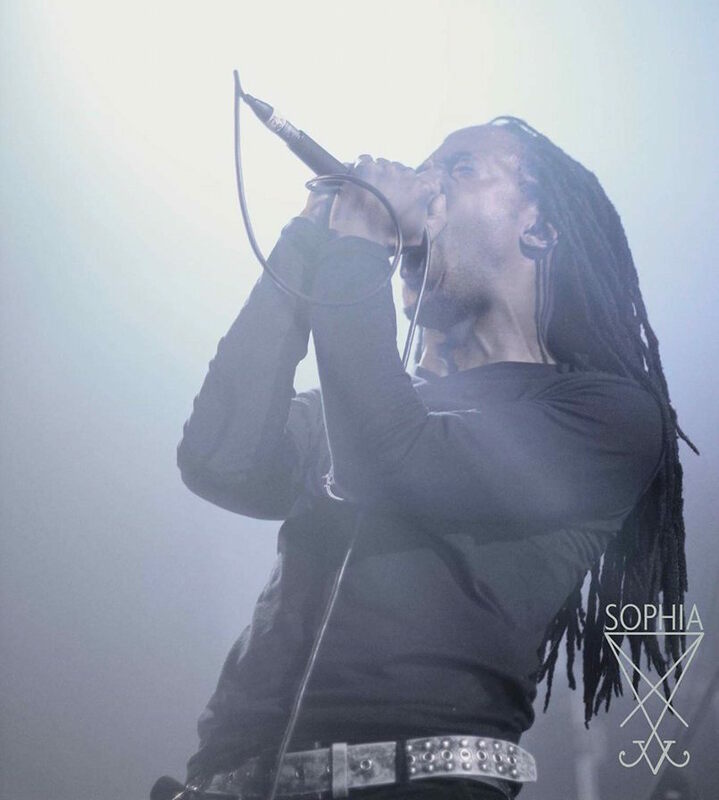 The symphonic black outfit have only been actively performing for about two years, but anyone watching their opening show on Friday night would not guess this: the five-piece were tight, solid and on top of their game, a credit to the burgeoning ZABM scene. Their set was fairly short – only six songs, closing with crowd favourite, the internet-animator David Firth homage ‘Red Water’  – but benefited from the best tone I’ve heard from them since they came to my notice in early 2015. This is definitely a band to watch. Following this, Soweto-based Demogoroth Satanum took to the stage. Recent line-up changes (including a shift from guitar to drums for Modiba – AKA ‘Belgaroth’ – only three months ago) have resulted in a slight shift in their sound from an unpolished take on UKBM to an even crustier early TNBM feel – but they didn’t let this stand in their way. Although they may be one of the most politically interesting bands in black metal today , their show didn’t quite match the technicality of Lesuth. This did not stop them, however from being thoroughly enjoyable to watch: their stage presence was infectious and the amount of fun they had was undeniable. They may have abandoned their corpsepaint, but they still delivered demonic, dirty black metal in the vein of Pentagram-era Gorgoroth. 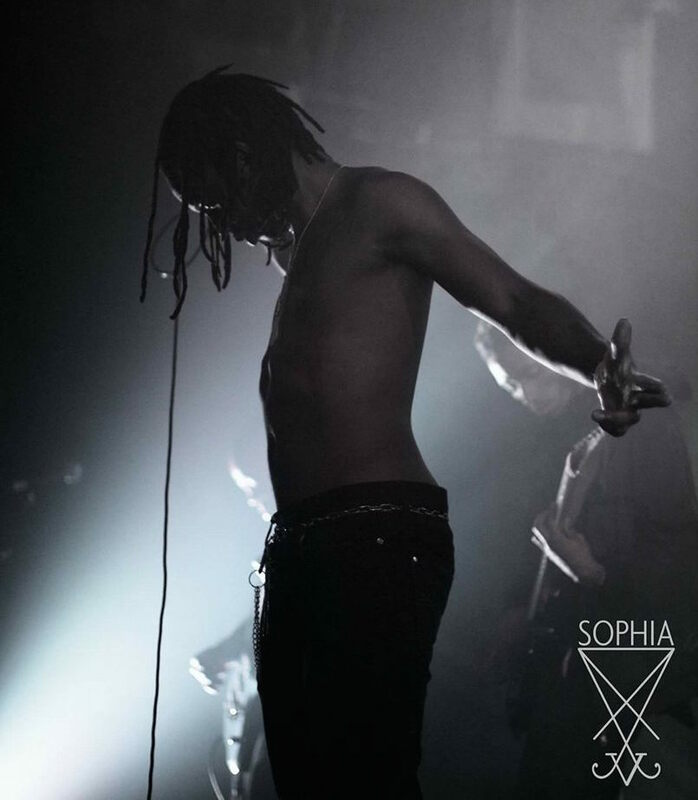 Oddly, even though Lesuth’s performance was far better rehearsed and ‘professional’, the show Demogoroth Satanum put on felt far more in keeping with traditional black metal – authentic, anarchic and unsettlingly low-fi. Rotting Christ destroyed all illusions I had previously held as to what makes a good metal show. In a little over an hour, Sakis Tolis and his bandmates perfectly showcased what 28 years of extreme metal experience can do – the result being a show so tight, so well-played and so engaging that they made it seem effortless and natural. I admit, since reviewing their latest album, Rituals , I have been on tenterhooks regarding this show, but I was in no way ready. Despite a disappointing turnout (approximately 300 bodies in Johannesburg ) Rotting Christ delivered in every way. I recently watched Behemoth  in the same venue, but despite the theatricality and spectacle of that performance, Rotting Christ carried things to the next level: their audience engagement, the variety of their setlist (spanning a massive cross-section of their career) and the hypnotic – dare I say it – ritualistic fervour they whipped up was worlds apart from any live act I’ve experienced in recent memory. The show began with a fairly odd choice, as the collaborative piece with Diamanda Galas, ‘Orders from the Dead’ led the band onto the stage. From this they launched into ‘Ze Nigmar’ (from Rituals) and after that… well, anybody there would be hard pressed to pinpoint anything as a highlight; it was all that good. Sakis was the most engaging frontman I’ve experienced (easily a match for the likes of Bruce Dickinson, just on a smaller stage), while his brother Themis delivered a rhythmic backdrop par none. Bassist Van Ace played up to the crowd (to the obvious delight of a predominantly female audience in his corner) and George Emmanuel’s backing vocals and guitars completed a winning recipe. All this, despite a nasty case of altitude sickness (according to backstage rumours). 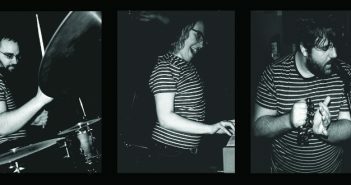 Personal standout moments were mostly more recent songs – ‘In Yumen Xibalba’ and ‘Grandis Spiritus Diavolos’ off Kata Ton Daimona Eaytoy were sung back almost as loudly as the club PA delivered them. ‘Elthe Kyrie’ from Rituals was equally well received, as was ‘Apage Satana’ – an unexpected choice for the show, given its non-metal sound, but a welcome interlude for the otherwise frantic moshpit (that was encouraged by Sakis at every opportunity). By the time the band came back onstage for their encore (‘666’ and the perennial ‘Non Serviam’) I can say with conviction that I was not alone among the crowd in being practically overcome with emotion. The irony of one of metal’s most famously blasphemous bands providing a quasi-religious experience for their audience was not unnoticed. What really made the show unique was that it was entirely non-genre-specific. 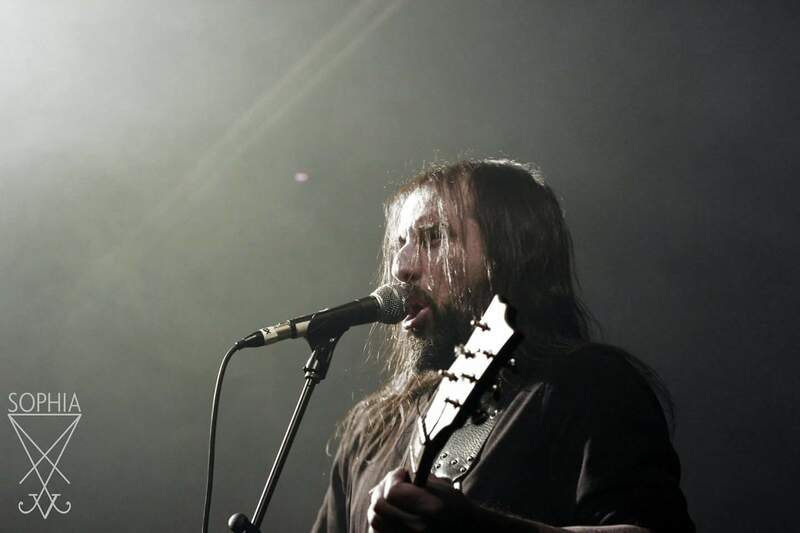 For a band labelled as black metal, Rotting Christ put on a show that covered elements of death metal, heavy metal, black metal and touches of folk without ever adhering to one specific style. This, coupled with the superlative skill with which the music was performed, are what made this show unforgettable and without a doubt, one of the best I’ve ever had the honour of witnessing. Factor in an intimate venue with no fenced-off security zone in front of the stage and some of the most down-to-earth personalities in extreme metal doing what they do best, and you have a combination any other band currently touring will be hard put to match. 1. True Norwegian Black Metal, Depressive Suicide Black Metal and United States Black Metal are just three black metal sub-genres blessed with acronyms. 2. David Firth gained notoriety as an animator and filmmaker with his creepy cartoon, Salad Fingers, in 2004. A fairly primitive, but still promising recording of Lesuth’s song can be found here. 3. Sam Dunn’s metal journey recently chose Demogoroth Satanum as part of a showcase of South African metal (YouTube clip here) – possibly because they are unique in being the only all-black band in a genre notorious (and often erroneously so) for neo-Nazi sympathies. 4. See here for this review. 6. A complete report on this show is here.